Forget BT’s plan to deploy “ultrafast” 300-500Mbps capable G.fast broadband technology to 10 million UK premises by 2020 (here). Today the operator has joined with Alcatel-Lucent to test future XG.FAST (G.fast2) technology, which under lab conditions has just pushed aggregate speeds of 5.6Gbps over 35 metres of copper cable. The figure represents a “record for full-duplex data transmission over a standard single BT line at this distance” and the technology also performed quite well over longer distances, with aggregate speeds of 1.8Gbps being achieved over 100 metres (BT claims that most UK homes are within this distance of their local distribution point, be that a pole, street cabinet or footway box). Mind you the technology itself, which is still some-way off becoming a commercialised solution like G.fast, is nothing new to ISPreview.co.uk regulars as we first reported on it over a year ago during the very early alpha testing and prototype stages (here). “These are exciting results. We know that G.fast will transform the UK’s broadband landscape but these results also give us confidence the technology has significant headroom should we need it in the future. The UK already boasts the biggest fibre footprint among major European nations, as well as the highest take up, but it is vital we continue to invest. That is why we have announced plans to get ultrafast broadband to ten million premises by the end of 2020 and to most of the UK by 2025. G.fast is the ideal technology as it can be deployed at scale and speed, allowing as many people to benefit a soon as possible. In order to understand XG.FAST you first need to be familiar with G.fast, as the two have a near identical deployment approach. G.fast functions in a roughly similar way to the current 80Mbps capable VDSL2 (FTTC) service that dominates today’s market (often dubiously marketed as “fibre broadband“), although it requires significantly more spectrum (G.fast 106MHz+ vs VDSL 17MHz) and thus operates best over a much shorter run of copper cable (ideally less than 350 metres). G.fast can be installed inside existing street cabinets, just like VDSL2, although the technology may also be delivered from smaller nodes / distribution points (DP) that can be built either underground (manholes) or placed on top of nearby telegraph poles. Related nodes would be fed directly by fibre optic cable, although they still have to be supported by small nearby power supply units at ground level. By comparison XG.FAST increases the frequency range up to 500MHz in order to achieve higher speeds, but this requires significantly shorter distances / copper lines in order to work. Higher frequencies attenuate more quickly than lower frequencies (interference grows over distance), meaning there are diminishing returns in speed as the frequency range increases. 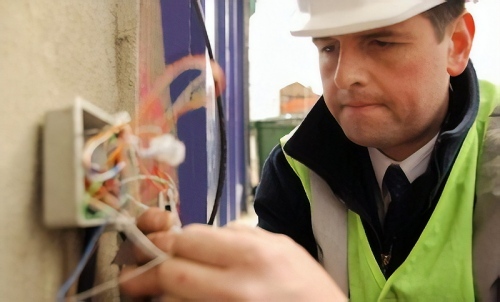 In essence BT would need to ensure that their fibre optic cables get even closer to homes. The result of the latest BT test suggests that XG.FAST is performing more or less as last year’s prototype did, although how easily this might translate into the real-world UK market depends upon the operator’s approach to G.fast and how close they build their nodes to homes. In any case we won’t be seeing XG.FAST for a while and even G.fast won’t begin its commercial roll-out until 2017 (significant pilot in 2016). I am really happy for them. I would be even happier if they could manage more than 3Mb to my house. Great to see technology advances like this but I have to agree, being on the end of a very long ADSL line gets more and more frustrating every day. As can be seen from above article the Gigabit speeds require good copper lines no more than 70m or even 30m. This then begs the question: If fibre was brought that close to premises, why even bother with e.g. XG Fast? Do it the right way then, use fibre all the way. Troll, what have extension cords got to do with anything? @FibreFred: Do you have nothing better to do than calling names on posters today? This makes you look silly, and nobody will take your posts serious. That is actually a good point, if the final pole/node/etc point/cable to home is copper and they still offer that extension as a solution then the story comment of “speeds of 5.6Gbps over 35 metres of copper cable.” Is yet another BT look what can be done in theory and not in reality…. Unless of course the outside wiring you are lucky enough to only have 5 metres, can not imagine that to be very common or normal. Has done that to several people and does it daily. No before it starts im not the others, though obviously ill be reported also. Www rather than back yourself up why don’t you read up on what the extension kits are. Why don’t you not tell us what they are if they are not copper wires. Rather than assume everyone that disagrees with you is a troll. As you posted the link are you not able to understand what the extension kit is? We know @GNewton already knows the answer to his rhetorical question – why only take fibre to within 35-70m of the property, but other readers might not. The answer is that the distance is indeed short, for a single line. But there are a lot of those lines, which scales the problem up hugely. And, because they involve an in-home change, they need extra work to arrange an appointment. That complicates the planning. Right now, BT are upgrading a maximum of 100,000 cabinets for FTTC, getting fibre to (on average) 450m away from the home. If they went for an FTTdp solution actually at the DP, it would need fibre to 40x more locations: 4 million DP’s. If they went for an FTTP solution, it would actually need fibre to 280x as many locations instead. That makes it considerably more expensive. @MikeW: So how will it cost to deploy a nationwide G.Fast (phase 1 or 2) to get everyone to below e.g. 100m, or 70m of final copper? At some stage you’ll realistically have to ask the question whether the final few meters are really beyond the scope of fibre or not. Basically, these newer G.Fast technologies rely on higher frequencies, or line-bonding, or both. Either way, the laws of physics regards signal degradation over copper wires are still there, as can be seen from this article, with the need to shorten the copper line lengths ever more. I don’t know the cost. No-one knows the cost … that’s the point of the trials. Once they get an answer, they start figuring the trade-off against an FTTP solution. 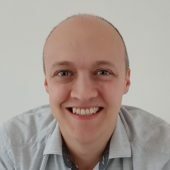 A Dutch guy, one of the architects of the G.fast standard, has some analysis for a small portion of Amsterdam though. That’s the best I know of right now. The costs there look to be 2x or 3x for FTTP vs FTTdp (he calls it hybrid FTTH). You ask about “whether the final few meters are really beyond the scope of fibre or not”. For some places, fibre is an easy option; for others it is almost impossible to do it with a reasonable cost. For such places, they will appear to be well beyond the scope of fibre. For some of the latter group, you need to re-think your question: If replacing the final drop is not cost-effective, is there an alternative solution that *is* cost-effective. It is the range of costs that is going to lead to a range of solutions. “As you posted the link are you not able to understand what the extension kit is? Pretty sure you don’t understand. The extension kit is to locate the modem up to 30m AWAY from the master socket. I think he must of mis-read or mis-typed as yes obviously having an extension kit fitted adds to your loop length. Agreed. It would be nice to see some flexibility and common sense in the telecoms industry, rather than having to put up with BT’s ‘One size fits all’ approach in many areas. I want what he is drinking! Great stuff, good to see future phases already being tested. I guess my concern for G.Fast is that it is still in its infancy, BT are already changing things and making it work over distances it wasn’t originally designed for and now we are seeing huge leaps in speed (XG) even before G.Fast is rolled out. I just hope that whatever kit is rolled out it is as future proof as possible in terms of upgrades although I suspect software/firmware is only one part, many of the future advances make require different hardware. I expect with G.Fast we’ll see two phases. G.Fast from the cabinet (and then whatever upgrades are possible until it’s lived its life) and then a move to bring the fibre to the pole for XG-Fast to get the speeds in the table above. I reckon that BT went into the development of G.fast (in the 4GBB-Celtic project) in around 2010 with some hopes, but not *great* hopes. I think their approach was that they really expected to have to go with FTTP, but there was no harm seeing where G.fast went. The whole direction that G.fast has taken – all decisions made, including size and scope of equipment – has followed the expectation of a maximum distance of around 100m. Truly “DP”-based, with all technologies to match, as well as sizing and dimensioning. However, the outcome from G.fast seems to be that they figured out how to get decent speeds to a considerably greater distance than expected *and* have ideas about how to get even more – hence the XG.fast. What we are seeing now is the juggling of priorities, so that telco’s (like BT) can take advantage of those longer ranges, as well as the juggling of the new ideas to get extra speeds back at the original target distance. In 5 years, I think BT has gone from thinking that their copper was having its last hurrah with FTTC, to believing that copper may *never* need to go. I think the strategic changes we have seen (the reduction in FTTP, and the dropping of VDSL2 vectoring) have come about because G.Fast mk.I, and the successors, are perceived to offer them a serious path of solutions. Some might call it leaching of the copper, but you end up having to agree it is magnificent leaching. I think a national FTTdp rollout isn’t completely off the cards still. I know they have found G.Fast is supported on longer lines than originally thought. But we all know how unreliable last 100-200 metres can be specially in areas with Aluminum lines. It would be nice if there were pictures of the actual cable they were using. That means they probably weren’t using just a plain copper pair. They were likely using local loop simulators and noise generators to make the test as realistic as possible. And other equipment to make the test environment as rigorous as possible. That document shows they model copper lines of type TP100 ie 0.5mm copper, polyethylene-covered, as used by BT. That particular model has 5 test modules that can each run at 10Gbps out/10Gbps in, which can run 32 streams. Plenty of capacity to test a 16 port G.fast DPU. TP100 cable is Twisted pair cable (hence the TP) that is rated to CAT5E standards. It corresponds to 1000BASE-T / 100BASE-TX / 10BASE-T capable cable. Nothing like what BT use. The cable sections in the test loops are representative of existing European metallic access cables. They represent the following cables (they are described in more detail in bibliography). This is a multi-pair cable with 0,5 mm solid copper conductors with Polyethylene insulation. It is predominantly used for underground distribution. DW is a acronym for Drop Wire and the DWUG cable type may be taken as representative of 0.5 mm PE insulated underground distribution cabling . The cables BT_dw8, BT_dw10 and BT_dw12 are the most common dropwire types used in the BT access network. TP100, in this context, is very clearly BT’s multi-pair distribution cable, that we otherwise know as the D-side. You can quote and google documentation all you wish. What is used for testing is not being disputed. What is used in real life is not the same as what is used in testing. TP-100 cable has upto 72 twists per metre. CW1308, CW1128 and CW1128/1198 which is what BT use (1308 internal and 1128 external the other being armored for ducts) has nowhere near that amount of twists. (Only around 40 dependent on the pair). CW1308 has a signal and db loss equivalent or as near to it to that of CAT3 cable. It is 10 BASE-T rated or in common terms telephony or voice grade cable. An idiot knows the more twists the less signal loss and less interference. Im sure Network manufacturers the world over such as Cisco though would like to know how you can shove the same amount of bandwidth down a CAT3 cable as you can a CAT5 cable, they could all then save billions on cables used with their gear. You do realise the whole point of “testing” is to test in an environment as close to real life as possible, don’t you? In this case, though, “simulated” would be a better choice of term rather than “tested”. A simulation that didn’t get very close to real life would be pointless. As you rightly point out, cat 3 is considerably less capable than cat 5. Anyone performing a simulation based on cat 5, and expecting it to inform them about the performance of real-life cat 3 is just wasting their time. The scope of this technical report is to provide a reference that reviews cable models on metallic, unshielded, access network wire pairs. These cables are standard telephony lines, used in various countries. The objective is to enable reliable simulations on the transmission of very high bit-rate digital signals, including ISDN, ADSL, HDSL, VDSL and any future xDSL variant, up to 52Mb/s. The cable models have been published by various European Telcos/PTTs, and include transmission, reflection and crosstalk aspects. I haven’t yet seen an access network made of cat 5 cable. The documents tell you the cable model being simulated, and whatever *your* TP100 cable is, the one specified by ETSI matches BT’s d-side cable. Not a surprise, because ETSI’s model is supplied by BT themselves. Ah, the things you learn with a reading age above 3. G.fast includes new cable models for the higher frequencies. One of the cable types included is BT’s CAD55, a 4-pair overhead dropwire. The interoperability lab at the UoNH seem to have been tasked with certification of hardware, and have been setting up a test rig. This rig has been set up with various lengths of CW1420, a drop-in replacement for CAD55, allowing tests up to 400m. Exactly this and citing Australia is a good example. Fibre fetishists get so hung up on that last piece of cable (that ends up being copper around the home anyway). As long as we keep up with having the speeds we need when we need them people shouldn’t concern themselves with the physical cable. All interesting stuff, but I’ve downgraded the BB in the house I’m buying to 40mbps (from my current up to 80mbps service) as the extra cost simply isn’t worth the extra utility of the faster service which, apart from a bit faster downloads – from those sites that don’t throttle at source, really isn’t anything. Maybe in the future. Maybe for some individuals and small/medium companies, but there’s a world of difference between there being a demand for something and for it being a viable self-financing market. Of course BT does have to do some of this stuff as VM are rapidly running away with the boasting rights, but I can see a lot of people not bothering with upgrading if there is any sort of price premium. Agreed, you only have to look at how its gone with VM to see how people (to date) have thought about speed upgrades. The reason people are on higher speeds today on VM is because they keep dropping the bottom tier and forcing people to up their speeds, sure some people have taken the higher speeds when available but the majority have stuck with their existing package. I bet if VM re-introduced 20Mbps at a lower cost people would take it in their droves. So do we know who is doing this research/testing? Is it Openreach or another bit of BT? Heh, yeah you may get 2Gbps on speedtest, but I will bet you dont get that downloading from a website!! I wonder if they will push the fibre as deep as possible into the network during the G.FAST rollout in preperation for XG.FAST, or if they will not bother and have to push the fibre out further when they rollout XG.FAST. I doubt they will be able to future proof the kit for XG.FAST while rolling out G.FAST because it simply won’t exist or will have improved significantly by the time it’s needed. The only thing they can really do to prepare for XG.FAST during the G.FAST rollout is to push the fibre as deep as possible. Inevitably it’s going to be too expensive to get within reach of some properties, so the haves and have nots will continue. I understood that G.fast was a superfarce, a cul-de-sac delivered by the copper cabal to preserve their dominance and monopoly that was going nowhere. It appears it can do a symmetrical gigabit out to 90m, while VDSL 2, apparently even more of a cul-de-sac, will be reaching 80Mb/20Mb out to 1km via VDSL 2 profile 35b / Vfast / G.993.2 Annex Q, over twice that at 500 metres, the ‘average’ length from cabinet to customer, and 330/50, the initial G.fast speed, out to ~200 metres. Both of these technologies will almost certainly be available in a line card format to fit into the existing DSLAMs, as well as being on separate colocated hardware where there is room in cabinets, having cabinets of their own, and being locatable on poles or underground. I guess I was misinformed, and the experts at Alcatel-Lucent, Huawei, Sckipio and Adtran have been able to draw more, way more performance from the same copper plant. I shouldn’t really be surprised. It’s not like G.fast isn’t still a very new and immature technology that BT are at the bleeding edge of which will, obviously, dramatically improve as time goes on much as all its predecessors seen in the UK, ADSL, ADSL 2+ Annex A and M, ADSL 2 Annex A and L and VDSL 2 profiles 8b and 17a did. Curious how this can be true CAT5E which is far superior to most BT phone cables both in terms of amount of twists and thickness can only do 1 Gbps per pair over a 100 Metre length. I doubt BT cables in real life some which are decades old and had numerous repairs can match let alone beat it. More theoretical gibber to detract from the Ofcom review coming up possibly? It’s different kit on the ends. I mean.. how can you possibly get 8-16Mbps on ADSL2 from an exchange 2km away based on the IEEE 802.3ab standards? You can’t.. because its different kit using different standards. Not sure what you mean Fred 1 Gbps is the max speed a CAT5E cable can take reliably over 100 metres, it does not matter what is sending the data its a cable limitation. Unless BT phone lines are better spec which they are not i do not see how a potential 10 Gbps can be transmitted over them. Cat 5e can only do 1gbps because that is what the existing spec says. Written at a time when that was the best that could be attained with hardware. Time moves on. So does hardware. So do specs. New standards are being looked at for ethernet – 6 new speeds in the next couple of years (theyve done 6 speeds over the last 30 years). To meet the needs of the installed base of cat5e, they’re considering 2.5Gbps and 5 Gbps. Note that the 100m limitation of ethernet isnt related to signal degradation. It is more to do with the timing needed to detect collisions. That is a good image link and the speed and Mhz ratings of the cables roughly match up with the new G.Fast speeds and Mhz ratings. Phone cable is CW1308 sometimes although i do not think officially refered to as Cat3 cable but is very similar stuff. Cat3 cable is rated at 16Mhz, which would also put it in line with the above and why VDSL2 works. Im also interested how they are going to send a signal rated at 100Mhz and higher and speeds into the Gigabits per second over cable which simply is incapable of delivering that type of signal. BT are clever they are not magicians. But that was a very early trial (using separate plant) there is no indication that the bigger trials have used separate cabling? There would be zero point in deploying G.Fast unless it can use existing cabling out there. Even when Bell first announced this last year https://www.alcatel-lucent.com/press/2014/alcatel-lucent-sets-new-world-record-broadband-speed-10-gbps-transmission-data-over-traditional they stated they were using standard copper cables from a European operator. There is no indication they have not. 70 metres is going to be real life distance? Obviously not GMAN at least not in the UK. 70M Can be real life in the UK sure, currently they are experimenting with different placements for the G.Fast nodes. I believe they will favour the cabinet for G.Fast as its less cost/work etc. But to get these XG.Fast speeds the node will have to be much closer, in a pavement duct or on a pole. Poles are obviously much closer to the premise, mines about 20m away. So zyberg47, was the separate plant a better grade of cable or just the same but separate? And do you think as part of the G.Fast roll out across the UK they’ll be replacing copper with copper? What part of “new standards … for Ethernet” did you miss? The old standards are indeed for 1 Gbps for cat5e cable. Remember it is 4 pairs in there; I think 500Mbps on each of 2 pairs one way, repeated for the reverse direction. What you have to remember is that the current rating, in speed and spectrum, is specified based on the capabilities of the transceivers to drive and read the cable. Add a decade’s improvement to the transceiver hardware, and you find the cable does more. After all, the copper put in the ground 50 years ago wasn’t “rated” for the 17.6Mhz we now put through it for VDSL2. The standards development of g.fast certainly uncovered a lot about getting over 100 MHz, then 200 MHz, out of the same copper. More than BT expected, I reckon. XG.fast is just pushing that understanding further. Don’t be so quick to write off lab based figures; telco research does a lot to replicate both noise and electrical characteristics during testing … because it would otherwise be pointless. They aren’t going to be orders of magnitude wrong for most lines. Sorry to disappoint, but even the current g.fast trials are on an overlaid network. The ANFP has not been updated to allow use on a live network. That was reported at the same UKNOF event (video available). Of course, the copper will still be the same gauge,the same length, the same joints. Physically the same, and electrically the same as the real network would be without faults. Distance depends where the DPU goes. If it really does end up at the DP, then the distance matches that of the drop wire … and previous g.fast results have told us that 19m and 67m represent the 20th and 80th percentiles of drop wire lengths. Thanks for that Mike, it actually makes sense for the trials I believe most bt trials mean you get a new line for the trial so I guess this would be no different. Following up on the lab environment, I made some posts higher up with links to some of the test equipment used. There does not even appear to be a page 8 at that link. I did say it was one of the presentations on that link. I’d have thought it was self-evident that you needed to find the presentation titled “Evolution of Ethernet Speeds – What’s New and What’s Next”, then look at the PDF of the slides for the presentation. Slides 6-8 cover it. As an alternative, follow the link for the video, and you go to YouTube. It will show the presentation as it happened, including the same slides. You then get the author’s context too. Or a case of you just unable to link properly.